Let’s talk about a scary scenario: What happens when organic traffic isn’t driving the results you need to bring your business success? Or when you see results but not enough to make your boss/CEO/manager happy with your content marketing ROI? The bottom line: If content is not converting on its own, it’s hard to prove the ROI of content marketing. This doesn’t mean you should stop creating content. It just means that our ability to use channels outside of organic traffic to deliver our content to desired audiences has never been more essential. As competition for organic rankings climbs, so should your ability to think ahead. In other words, don’t think that your work is done after creating content. Instead, adopt this philosophy: The very best content marketing strategy can only go as far as a great content amplification strategy will take it. If we had focused on an “organic only” solution, we would have missed valuable traffic, leads, and conversions for their business. That’s why content promotion and distribution (or as we refer to it – content amplification) is a must for any digital marketing strategy. Content amplification is a multichannel approach that uses paid, owned, and earned media to promote and distribute content. The goal of amplification is to increase your brand’s reach while encouraging your audience to move seamlessly through your sales funnel. 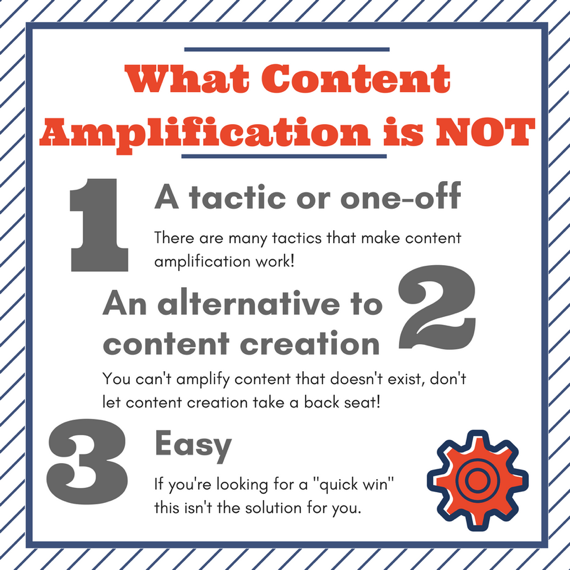 Content amplification is not a one-off task. It’s an in-depth practice that requires a lot of work to get right. Amplification is about making your owned, paid, and earned media efforts work together to drive the best results for your business. To get started, there are a few things you must do. What do you want your content to accomplish for your business? How do you want your audience to react to the content you promote and distribute? Which channels do you have access to right now? What’s the best-performing content on your site? Which channels are performing best for your site? Now you’re ready to strategize on how to promote and distribute all that awesome content. You’ll want to thoroughly analyze your current channels and which ones you’ll need to build out to be successful. Ask, “Does this channel help reach the target audience(s)?” If the answer is yes, then it’s likely an effective place to promote your content. 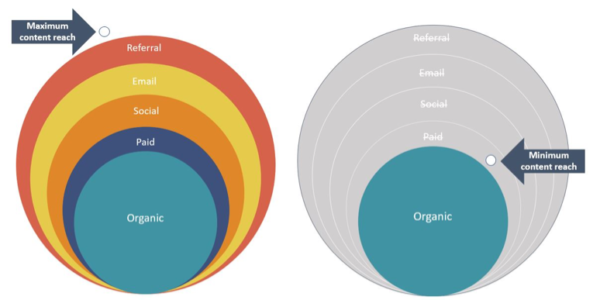 By auditing the existing channels, you can decide whether they reach the audience you want to connect with. 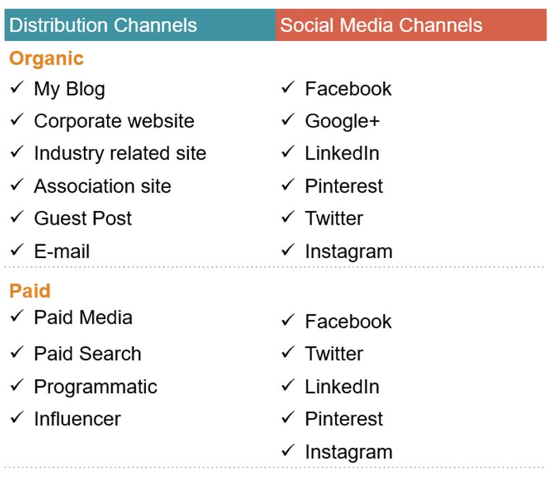 It’s important to think about both organic and paid channels, and how they could be used together. TIP: Paid, owned, and earned media should work as one unit not as separate strategies. We recommend starting with organic (owned) channels and paid channels because you have the most control and oversight on these channels. 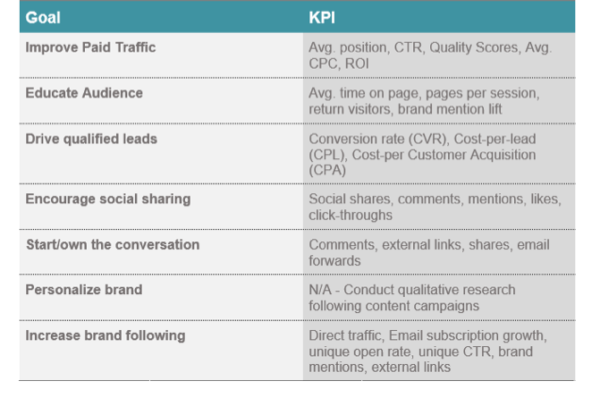 Let’s look at the differences in what types of content you might need to run a cross-channel strategy, build, and retain your audience. This is by no means a conclusive list. Content type will vary based on things like your audience, your industry, your goals, and more. First let’s look at organic traffic. Establish processes around implementing all of the above with your team. Content amplification requires collaboration among your subject matter experts in paid media, social channels, content strategy, and more. Although the task at hand is complex, it can be mastered enough to quickly grow your content’s reach beyond its organic potential and drive more leads (and future revenue) to your business. 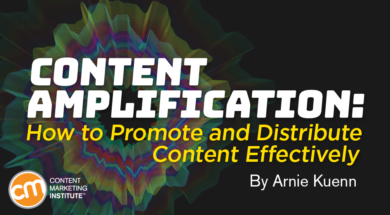 Learn more on content amplification from Arnie Kuenn and on dozens of other topics on content marketing from other experts at Content Marketing World Sept. 5-8. Register today using code BLOG100 to save $100.